At the end of March we posted this well-received article about how critical it is for any legitimate restaurant franchise to have their own flagship location. A flagship location conveys exactly how a brand should be represented with future restaurants and should include all the most essential elements for franchisee success. Franchisors with at least one corporate-owned location allows for the testing new ingredients, new recipes, new services and new vendors, without potentially harming the revenues of the franchisees with unproven concepts. Also within the article we defined a few important improvements the Shuckin' Shack Oyster Bar franchise has made to how we view an ideal Shuckin' Shack in terms of location. 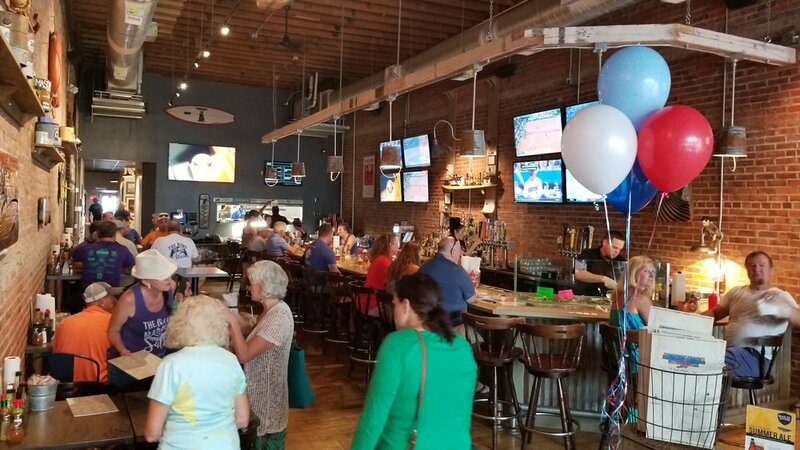 Below you'll find a dozen photos of the Grand Reopening of our Downtown Wilmington, NC flagship restaurant. The pictures convey more than just a successful grand opening, they also communicate what anyone building "The Shack" in their town should prepare for. Our team is currently seeking multi-unit franchise partners in the Piedmont Triad of North Carolina. If you, or someone you know, is considering restaurant franchise opportunities in or around the cities of Greensboro, Winston-Salem, and High Point, please Share this important page today! While Shuckin’ Shack was founded in a coastal tourist town over a decade ago, these days you are more likely to find “The Shack” where neighbors and friends come together for great food and good times. We thrive with sports fans and seafood lovers of all ages, and do our best to welcome everyone as soon as they walk through our doors! 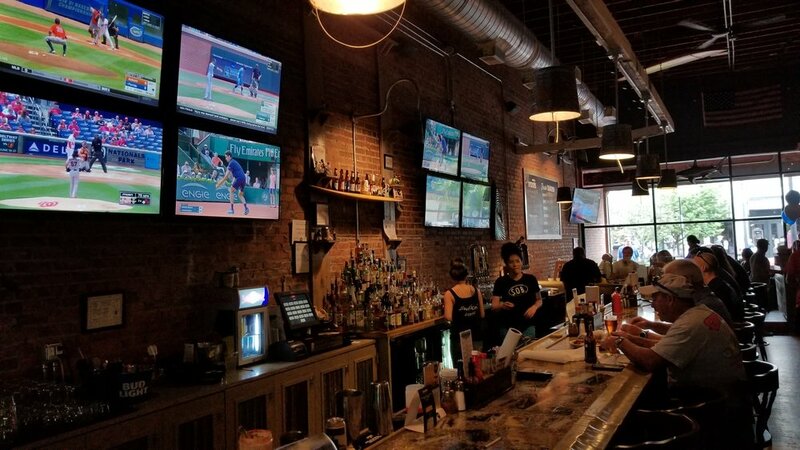 While only our largest and busiest restaurants may have a host/hostess, we provide many seating options including regular height tables, high-top seating, bar seating and even outdoor patio options at most of our 12 locations. Our franchise support team are not seated in an ivory tower somewhere make decisions completely disconnected from restaurant realities. Wendy gets direct customer feedback on new menu items that were never available at our old Wilmington location. 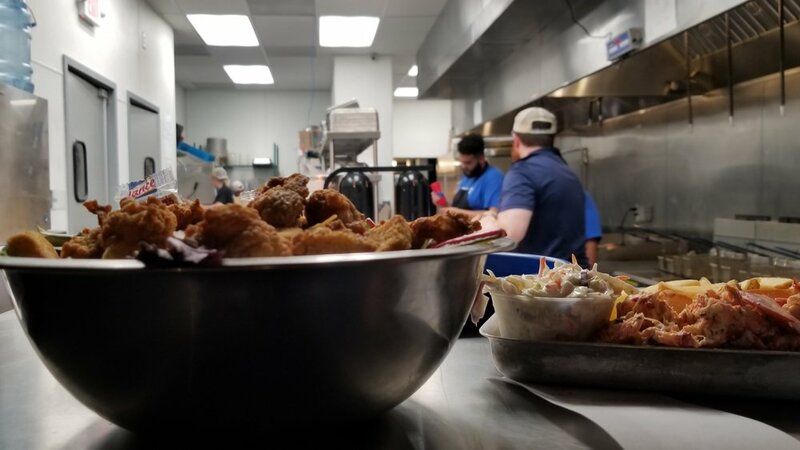 The star of every Shuckin’ Shack kitchen is our steamer - which doesn’t take up too much space and is always close to the pass-thru window to get customers the freshest seafood as quickly as possible, served up with a variety of sauces that appeal to every member of the family! If you’re expecting the CEO of Shuckin’ Shack to wear a suit and tie while talking about management theories, you may be surprised to discover that our CEO can shuck oysters with the best of them! Without experiencing “The Shack” first hand, you might miss the fact that we are truly a family-friendly, fresh seafood restaurant opportunity for those hoping to serve up foods healthier than pizza and burgers. 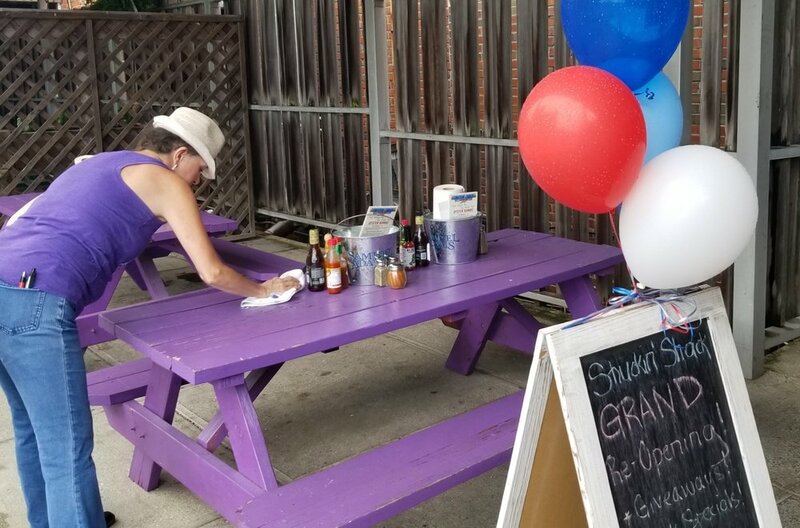 While our original 900 square foot Shuckin’ Shack is still very successful in Carolina Beach, new Shuckin’ Shacks require a bit more space for faster seating. Now we shoot for a cozy space - between 2,200 and 2,800 square feet - that has a variety of seating options. 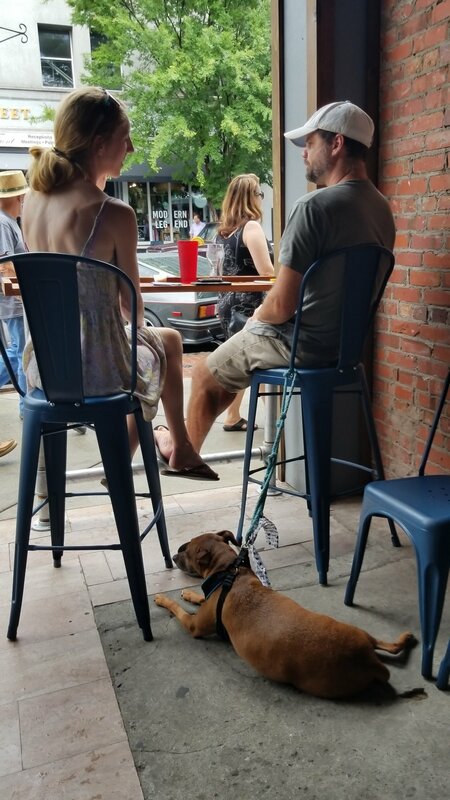 While we believe outdoor dining space is critical for our future restaurants, some cities and municipalites also allow customers to have their dogs outside the establishment. While we have a variety of layout options when it comes to what kind of buildings are suited for “The Shack”, we typically prefer spaces with architectural characteristics like large retail windows, tall ceilings, exposed brick walls and a single level floor plan. From our old location to this new flagship restaurant, we doubled our number of beer taps from 8 to 16! Shuckin’ Shack was at the forefront craft beer phenomena that has swept the country over the past decade and we encourage our franchisees to seek out locally crafted beers. We also have a menu of delicious cocktails and wines as well! While our outdoor seating upfront was ready for prime time, our back patio is still in the midst of some cosmetic improvements. Look for some significant updates to our back patio in time for the kickoff of football season!